What's Happening in NYC. The list of upcoming NYC shows for this month. Hot Tourist Attractions in New York City. Here is a run down on what should be on your list. NYC History: A brief history of New York City from its discovery. Discover New York City's waterfront with historic ships and Neighbourhoods of Boroughs. 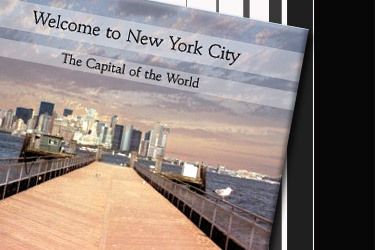 Special Offers in NYC: Search our special offers to find great values and make the most of your time in New York City. Four Seasons of NYC: New York City has a humid continental climate and experiences all four seasons with hot and humid summers, cool and dry autumns, cold winters, and wet springs. NYC Tours: Book New York City sightseeing tours, day trips, helicopter tours, Broadway shows and attractions. NYC Tourist FAQs: Your guide to the best sites for NYC Tourist Attractions and with a complete FAQ for visitors.